Enjoy the sweeter part of life! If you love a sugar in your tea then a gorgeous sugar pot to accompany your tea set is a teatime essential! 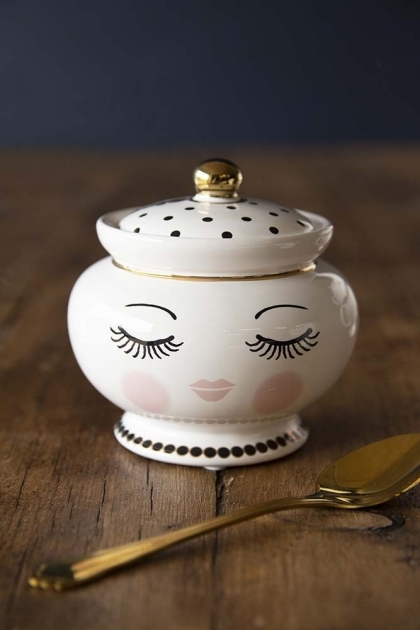 Part of our Sleeping Face Tea Collection the Sleeping Face Sugar Pot with Lid Cup features a sleeping face with black and gold detailing, making it the perfect crockery accessory for after-dinner tea or coffee! 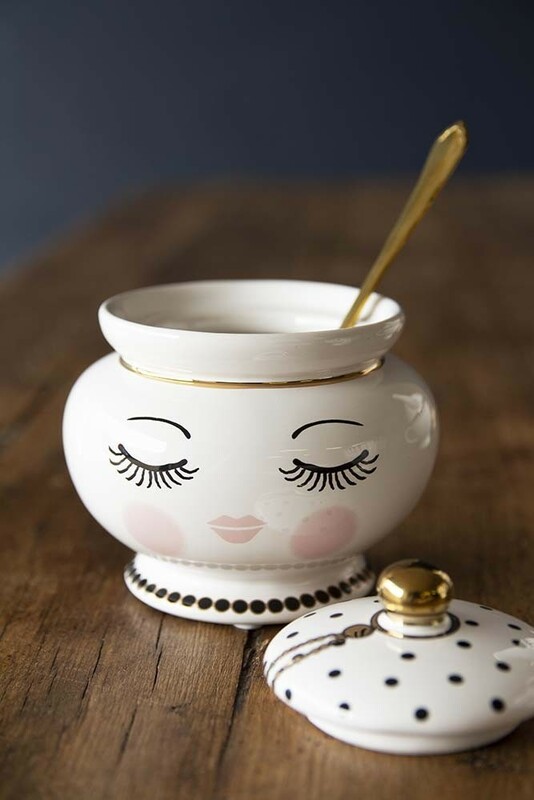 Complete the set with our Sleeping Face Teacup & Saucer or the Teapot & Cup or alternatively give this lovely sugar pot as a gift to that special someone (or yourself)! Please note: The spoon is not included.